Are you planning to holiday in Barcelona? Barcelona, the capital of Spain, is a popular weekend destination for travelers from neighboring European cities like London and Brussels. However, from key US cities like New York City or Las Vegas, just a weekend of space wouldn’t be sufficient. The flight, mostly one-stop and two-stop ones, may itself take time as long as 21 to 22 hours, and in certain cases with two-stop flights, it can be even longer. 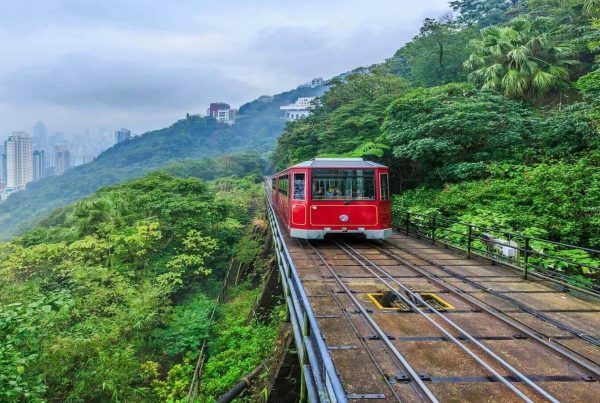 However, the distance and duration can’t stop tourists from visiting this world-class city. Cheapfaremart presents an exclusive travel guide on Barcelona travel. Barcelona is the 20th most-visited cities in the world preceded by Rome and Las Vegas and followed by Los Angeles, Budapest, and Amsterdam. 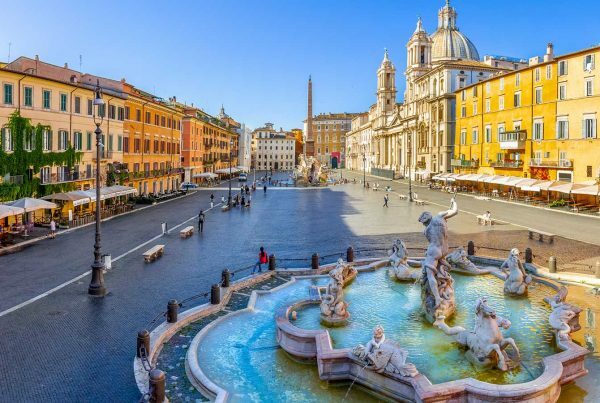 The city ranks fifth in Europe, according to a Euromonitor International’s report Top 100 City Destinations Ranking. The city is home to eight UNESCO World Heritage Sites including Park Guell, Palau Guell, Casa Mila, Casa Vicens, La Sagrada Familia, Casa Batllo, Crypt of the Church at the Colonia Guell and Palau de la Musica Catalana. The airport is also known as Barcelona Airport, an international airport located 12 km (7.5 mi) southwest of the centre of Barcelona. With Cheapfaermart, you can book cheap flights to Barcelona Spain from Las Vegas, New York and the other US and non-US based cities. A round-trip flight to Barcelona from Las Vegas costs around $1900 per adult, while a one-way flight to Barcelona from Las Vegas cost around $1000. 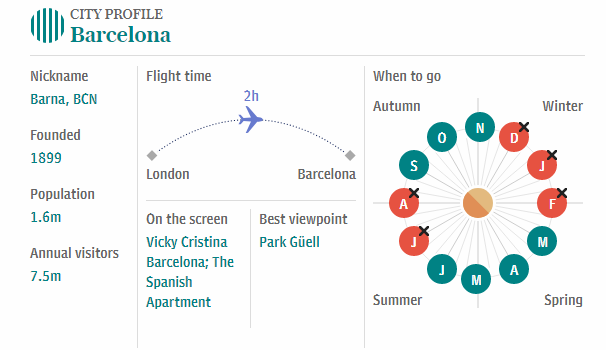 In addition to BCN, there are less popular airports like Girona-Costa Brava Airport, Reus Airport, 77 km (48 mi) to the south, or Lleida-Alguaire Airport, about 150 km (93 mi) to the west. They often offer flights with low-cost carriers. Be flexible with the destination airport. Try checking multiple flight options to figure out low-cost flights to Barcelona heading to any of these alternative choices. Long distance emerges as the top barrier for airlines to offer a nonstop flight to Barcelona from Las Vegas or any other US cities. However, you can find a direct flight to Barcelona that takes one or two stops in between the origin and destination airports. Fira de Barcelona has got a massive floor space of 400,000 square meter for exhibitions and it hosts over 120 exhibitions in a year, including Mobile World Congress, Hispack, International Swimming Pool Show, International Catering Equipment Show; Barcelona Bridal Fashion Week and Automobile Barcelona, among others. Keep a watch on the exhibition calendars before booking your airline tickets to Barcelona Spain. Barcelona is world-famous for its contemporary architectural excellence. However, the discourse about its jaw-dropping architecture always starts and ends with Antonio Gaudí. Very few might have heard of Josep Maria Jujol, Gaudí’s design partner. He is the person behind the artistic beauty of famous mosaic benches of Park Güell, the crazy ceramic facade of Casa Batlló, and state-of-the-art chimney sculptures of Casa Milà. Discover more about art and architecture booking your cheap flight tickets to Barcelona. Barcelona’s seaside was occupied by local industries until 1992, when Olympic Games was held. Beaches were created in haste to revamp the city and entertain tourists. Thanks to this grand sports carnival that converted it into a beach city. 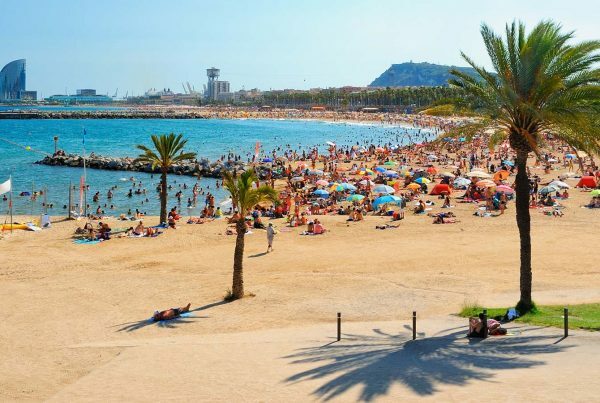 Nowadays, Barcelona’s beaches make the city rank as the top ten beach cities in the world. Barcelona has seven beaches with a 4.5 km coastline. The coast stays abuzz with the greatest bars, restaurants, and hotels. The Great Pyramid of Giza in Egypt was completed in 20 years, but La Sagrada Familia has been in progress for around 200 years. A brainchild of Gaudí, this magnificent building stands 984 meters tall above the sea level. The height equals the revered Montjuic Mountain. The great architecture was buried in the building when he died at the age of 73. The building, expected to be completed in 2026, is one of the most-visited tourist attractions in Spain with the number of annual visitors equating over 3 million. Barcelona is blessed with greenery. It has got roughly 18.1 square metres of parkland per resident. So, there is a garden for every resident. There are 68 total parks spread over 203 hectares. The collective area of parks present in the city constitutes 10 percent of the city’s total area. Book cheap return flights to Barcelona with Cheapfaremart because seeing is believing.